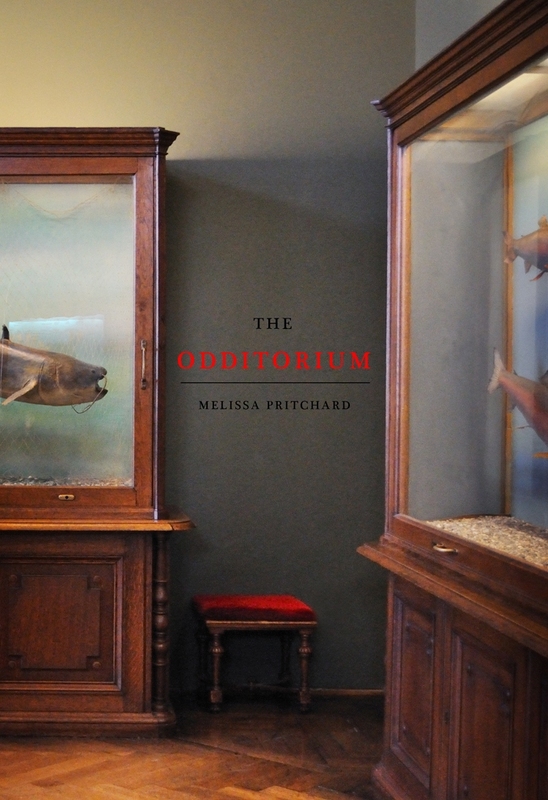 Melissa Pritchard's new collection of short stories draws on the deep well of history to produce stories based on characters both famous and obscure. This collection of eight stories, told in a variety of ways, is inventive and satisfying on a number of levels. I graduated from college in the year 2000 with a BA in History from a teeny-tiny liberal arts school. I've always loved history because I think of it as formalized gossip. You can have all of the primary sources you want, but there's always some wiggle-room in history. There are embellishments and straight-up fictions - some we catch later and others that will probably persist forever. It makes history juicy and somewhat mysterious. Melissa Pritchard takes advantage of the flexibility of history to craft her stories. My absolute favorite stories from The Odditorium are based on the strangest historical figures. "Pelagia, Holy Fool" is based on a woman named Pelagia, born in 1807 during the reign of Tsar Alexander I who was a Fool-for-Christ. In short, she was so dedicated to God and receiving the Word of God, that she acted as if she was totally insane and lived a hard, filthy life. People came from far away to receive her spiritual guidance, although it was often came across as gibberish. Clap hands over ears, little devils! From this disastrous union, Pelagia bore two sons in quick succession, each of whom perished. Rumors flew through Arzamass that she had first squeezed and smothered the infants between her gargantuan breasts, then flung them, salted and boiled, no better than suckling runts, into Sergei’s favorite pork and parsnip porridge. Like any good sermon, "Pelagia, Holy Fool" ends with three morals, each a short story that touches on insanity in a different way. Another fantastic story is "The Hauser Variations," which details the story of Kaspar Hauser, a "feral boy" found on the streets of Nuremberg, Germany in 1828. Each of the eleven "variations" contain a note on how it is to be performed. For example, the first variation is to be performed "in a narrative tone, not too fast," while the second variation is to be performed "with poetic sobriety." The variations shift in tone and voice, making the whole story playful and exciting and amplifying the mystery behind the very strange Kaspar Hauser. The story is a lot of fun - one variation is presented in the form of a play, complete with stage direction. 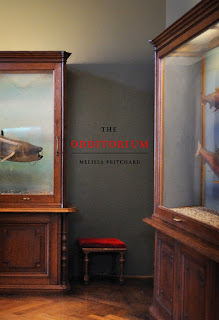 What I found most interesting about Melissa Pritchard's stories was that I didn't feel like there was really a subtext to any of the stories. I often felt like the emphasis was more on how the story was being told than the actual story itself. This is obvious in "The Hauser Variations," but other stories like the chilling "Patricide" and the stoic "Captain Brown and the Royal Victoria Military Hospital" are each told in a very unique voice and style. The glue of The Odditorium is history and not a cohesive style, where each story is a unique reading experience. As I read the stories of The Odditorium, I repeatedly looked up the characters on Wikipedia or other online resources. This made the reading rather slow, but also really enhanced my experience. Checking the colorful characters that Pritchard puts on the page against the stark black and white of a Wikipedia entry only enlarged my appreciation of what was being done with the characters and how they were being fleshed out in the stories. Each new story had me trying to work out where the historical "truth" ended and where the fiction began. Overall The Odditorium is a rewarding read. Spending time discovering the historical figures put new light on the characters, illuminating clever details and embellishing Pritchard's own embellishments. Some of the characters I encountered in The Odditorium will stay with me a while and other's will fade back into the shadows of history, but I'm glad they got to come out and play for a while. Book Source: Provided by the publisher in exchange for an honest review. Some Thoughts on God Is Dead by Ron Currie, Jr.